Canton, 2 @ Oliver Ames, 0 – Final – Canton senior Jim Jenkins scored late in the second period to give the Bulldogs the lead and then added an empty net goal. OA junior goalie Zach Walsh made 30 saves. Foxboro, 2 @ Stoughton, 3 – Final – Mark Sheehan scored the game winning in the beginning of the third period for Stoughton. Adam Potter and Carter Gerome scored first period goals for Stoughton while Foxboro battled back to level the score with a second period goal from Aidan Sullivan and an early third period goal from John Brolin. North Attleboro, 3 @ King Philip, 3 – Final – North Attleboro senior Andrew Casson scored off a rebound with 0.4 seconds left to tie the game for the Rocketeers. Hunter Sarro and Drew Wissler also scored for Big Red. 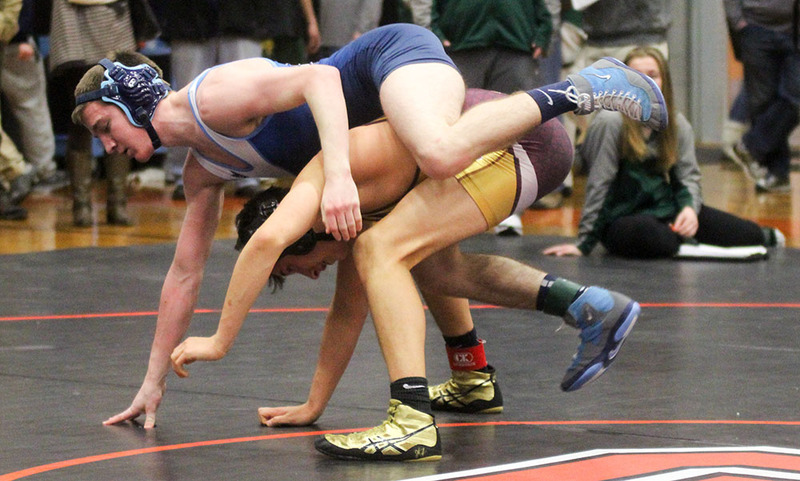 Lynnfield/North Reading Quad (Canton) – The Bulldogs lost the first meet of the day by just a point in a 34-33 loss to the hosts but bounced back for a 42-9 win over Malden and a 45-32 win over St. John’s Shrewsbury. Franklin @ Beverly – The Panthers beat host Beverly (49-18) and Salem (36-12) to pick up two wins but lost to Central Catholic (52-19). 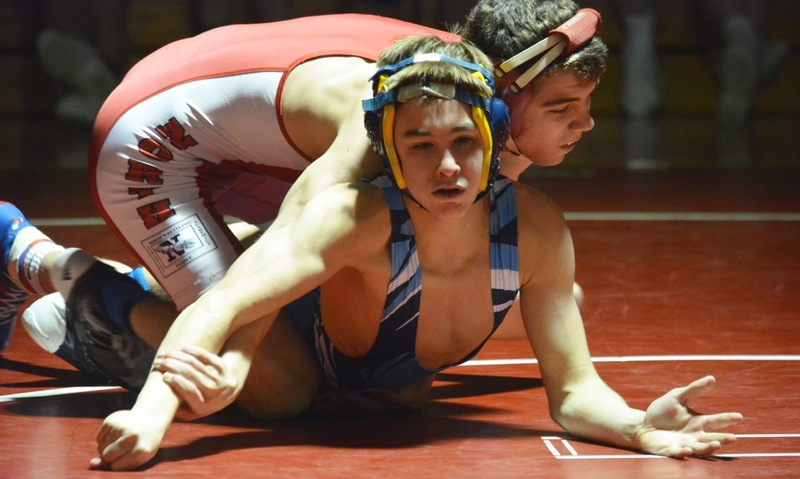 North Attleboro @ Springfield Central Wrestling Festival – The Rocketeers picked up three wins but suffered their first setback of the season. 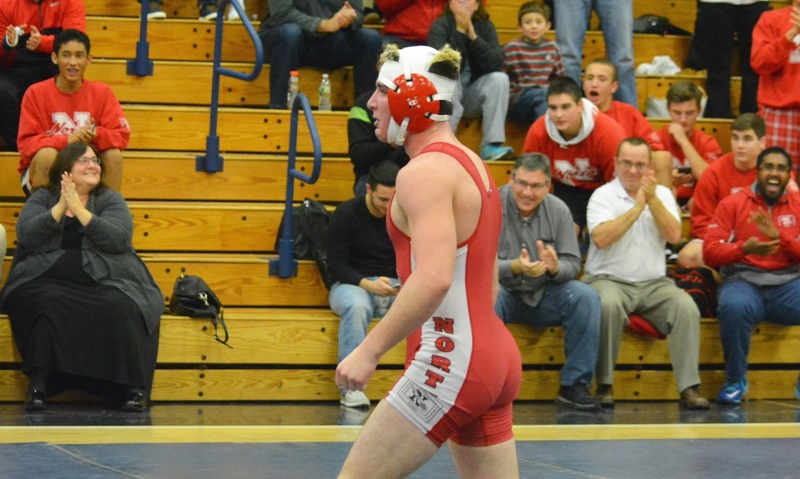 Big Red beat Agawam 70-9, West Springfield 58-18, and Keene (NH) 81-0 but Vermont powerhouse and three-time defending New England champs Mt. Anthony Union picked up a 46-18 win over North. Collin Fiske (152), Nick Gould (145), Jack Donahue (170) and Brennan Sankey (275) all went undefeated on the day for the Rocketeers. 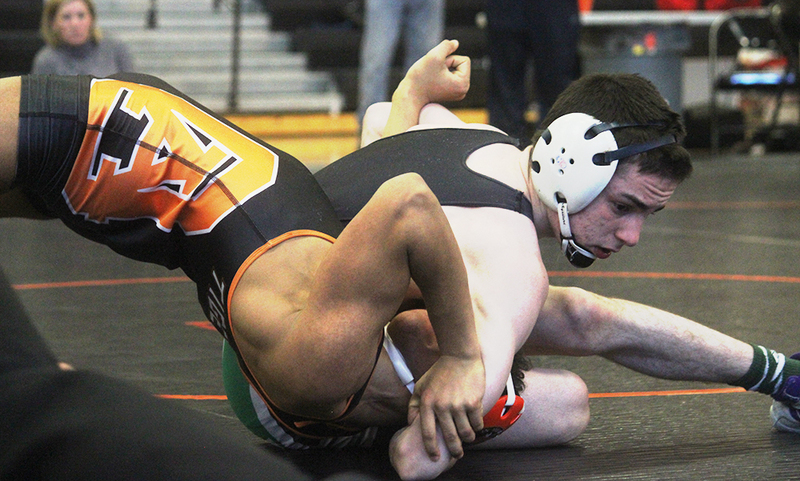 Sharon Quad (King Philip, Sharon) – Sharon went undefeated to defend their home gym with wins over Whitman-Hanson (42-32), North Quincy (42-15) and King Philip (42-29). Milford @ Hopkinton Quad – Milford picked up a pair of wins at the Hopkinton quad. Brett Kimball, Ryan Gray and Nic Johnson all went 3-0 on the day.